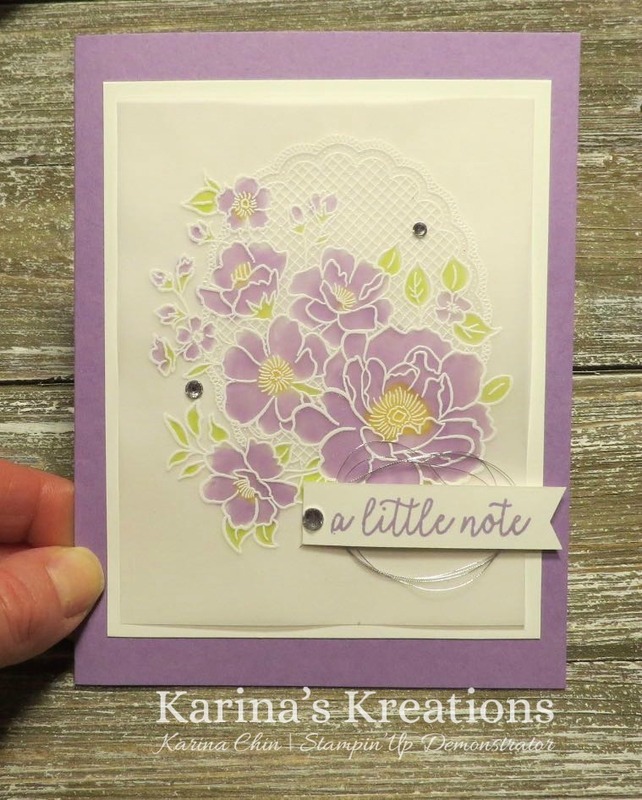 Karina's Kreations: Lovely Lattice Sneak Peek! Stampin'Up has a fun sale starting January 3. It's called Sale-a-bration and with every $60 order, you get to pick something for FREE from the the special catalog. The Lovely Lattice stamp set is one of the items you could get for FREE. Here's a short video showing you this set! I stamped the image with Versamanrk ink on Vellum card stock and embossed the image with Whisper White embossing powder. 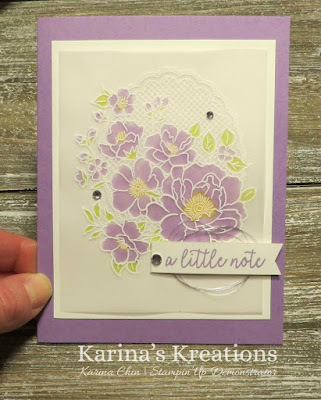 I colored the back with Highland Heather, So Saffrom and Pear Pizzazz Stampin' Write markers. Here's the rest of the supplies to make this card.